Our wonderful AgatA, past President, renowned tutor and friend sadly passed away on 8th May 2013. We are keeping her page in memory. AgatA was born in Warsaw, Poland in 1960. She attended Warsaw’s School of Visual Art for five years where she earned her Diploma. She was taught traditional methods of drawing and composition which is obvious in her art today. She arrived in Australia in 1982, here she met her husband and a couple of years later started a family. She continued to paint all through the years whilst raising her two children and remained very passionate about her art. Her main influences then were Caravaggio, Rembrandt and Andrew Wyeth. It was not until recent years however that she began to exhibit. Her previously traditional style of portraiture evolved into a more provocative expression of herself and earned her recognition as an outstanding talent. Her art emerged from the need to express hidden strong human passions. Stripping an object of colour bares the underlying emotion and this is what Agata endeavours to achieve with her bold strokes and innovative use of texture and mediums to reach the desired effect. Her later works were greatly influenced by the art of Mark Demsteader and Jenny Valmadre. Agata’s first passion was portraiture and figurative art, but she was by no means limited to that alone, likewise her preferred medium was pastel, but she was equally at ease with oil, watercolour or other mediums. 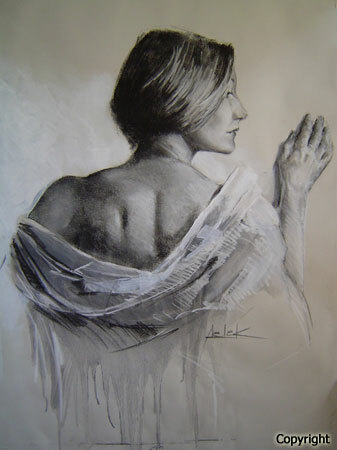 Her ability to portray with striking resemblance and capturing personality and ambience of her models placed her in demand for commissioned work, as a tutor and workshop demonstrator. 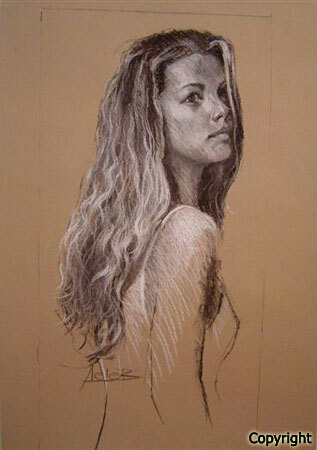 Agata taught life drawing, portraiture and mixed techniques at many Art Societies in Victoria; pastel and oil painting at MMAG, pastel and acrylic at GECAG and all the techniques and media privately at her home studio. She won many awards amongst them – Best in Show, Best Pastel (twice), Best Use of Colour and Best Other Medium during Waverley Art Society’s Annual Art Shows; Best Non-Traditional Work and in 2010 Runner-up Best in Show at the PSVA Annual Exhibition. Agata is represented by Jenny Pihan Fine Art. She was President of The Pastel Society of Victoria, Australia, 2010-11.